The Mirror's Pride of Britain Awards in partnership with TSB, celebrate the achievements of truly remarkable people who make our world a better place. Screened on ITV in November, it is the biggest awards show of its kind on British TV. 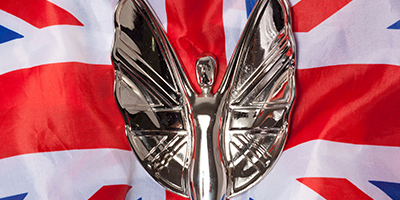 Since the first Pride of Britain in 1999, royalty, prime ministers, and hundreds of leading figures from showbusiness, sport, politics and the arts have all taken part. Hosted by Carol Vorderman, the Awards attract an audience of around five million viewers every year in a primetime slot on ITV - making it the highest rated awards show of its kind on British television. Our winners come from tens of thousands of public nominations and stories of remarkable individuals discovered by our team of researchers. They are whittled down to a shortlist from which our judging panel, made up of celebrated figures in national life, chooses the winners. They will be honoured at the glittering Pride of Britain Awards ceremony at the Grosvenor House in London. The 2019 Pride of Britain Awards will be screened on ITV in the Autumn.